The Pirate Empire: Madagascar and the Pirate Republic of Libertatia. 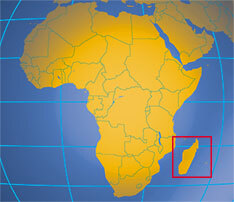 Madagascar is the fourth largest island in the world. It lies off the coast of Mozambique, on the eastern coast of Africa. Geologically, it is a separation of India’s tectonic plate. The animals of the island have been developing in isolation for 88 million years. 80% of Madagascar’s plants and animals are found nowhere else. The island’s climate is tropical, but a high, flat plateau in the center provide lower temperatures that have encouraged human habitation and have been planted in terraced rice fields. Humans came to the island about 3000 years ago, but apparently only on foraging expeditions. Permanent human habitation started between 350 BC and 550 AD, probably by people who arrived on outrigger canoes from Borneo. Bantu people from Mozambique arrived shortly thereafter. 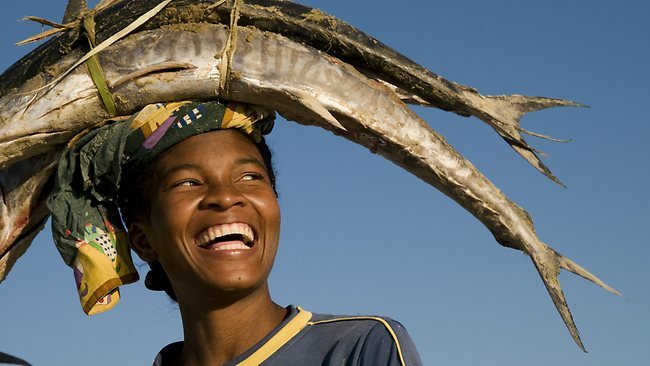 The current name for the ethic group of the islands is Malagasy, which is also what the islanders call their home. The name Madagascar was coined by the famous explorer Marco Polo who wrote about the island. Though other explorers tried to name the island after saints, the name Madagascar stuck, possibly for no other reason than its pleasing sense of the exotic. The poster child for Madagascar’s native wildlife is the ring tailed lemur. There are over 100 different species of lemurs on the island, and lemur are found nowhere else. The island hosts over 260 species of lizard, probably all descendants from just a few individuals who reached the island. A catlike animal called a fossa is the largest predator on the island, but at only 31 inches long and maximum weight of 19 pounds, they are not generally dangerous to humans. Until about 1700, the inhabitants of Madagascar ruled the island through a shifting group of tribal coalitions. But at about this time, the pirates arrived. Europeans had finally reached a sufficient level of technology that they could sail around Africa with general success. When they did so, the stumbled across a thriving commercial culture. India, Arabia, and Southeast Asia all traded through the region, and Europeans wanted what these people had. 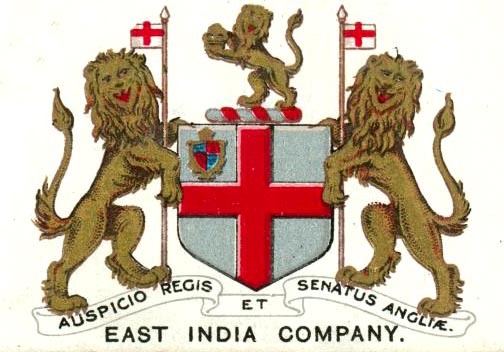 The East India Company, a corporation, had been founded by Queen Elizabeth I in 1600. They had struggled against distance, weather and competition from the Dutch. But even the smallest success had the possibility of enormous financial gains. Madagascar and the surrounding smaller islands were the prefect base for pirate raids on these trading ships. Pirates robbed East India ships, Arab traders, and pilgrims going to and from the holy city of Mecca through the mouth of the Red Sea. At one time the island of St Mary had a permanent colony of 1,500 pirates and traders. Dishonest merchants could pick up silk, cotton and spices form the pirates and transport these products to ports like New York and Boston, where they could be sold at a huge profit to people who didn’t ask too many questions. The pirate nation of Libertatia may or may not have been a fiction. But it held a fir place in the hearts and imaginations of pirates world-wide. Supposedly the nation had been founded by a pirate named Captain Mission. According to the pirates, it was a direct democracy. The pirates elected officials to run the colony, but encouraged these people not to think of themselves as rulers, but as public servants, not in any way above the rest of the citizens. The colony was supposed to be half-white and half-black, the races intermingled freely. Mission was supposed to have been a French sailor, born in Provance and converted to a belief in atheist, socialist anarchy by “a lewd priest” that he sailed with. When the sailors of Mission’s ship mutinied, they elected him captain, and he then created the pirate nation. The pirates in this colony became farmers and married native women. They also freed many African, Indian and Arabian slaves, who they encouraged to join their society. Individuals who chose to make money by robbing ships simply turned their plunder over to the common treasury. Even farmer’s fields were held in common. One thing which definitely attracted pirates to the area was the fact that the locals practiced polygamy. A pirate flush with gold and armed with firearms could hammer out a veritable kingdom on the island. We have some evidence that known pirates such as Thomas Cocklyn, Thomas Tew and Olivier Levasseur lived in or around Madagascar. Levasseur returned there for a number of years. But the island life, while pleasant and peaceful, was somewhat boring. Levasseur first ask for a pardon for his crimes, but upon learning that he would have to give back some of his stolen money, he returned to his lair. He was killed shortly thereafter, caught on a pirating mission that he had probably started simply to have something exciting to do. The pirates did not so much leave Madagascar as they and their descendants were simply absorbed into the local population. They did leave behind a spirit of freedom. Madagascar become a kingdom in order to stand off the increasingly invasive colonial powers. It spent a short time as a French colony, and it became an independent nation in 1960. Today it is a semi-presidential representative democratic multi-party republic (whew!) with a small industry in pirate tourism, among other things.